Hello lovelies! 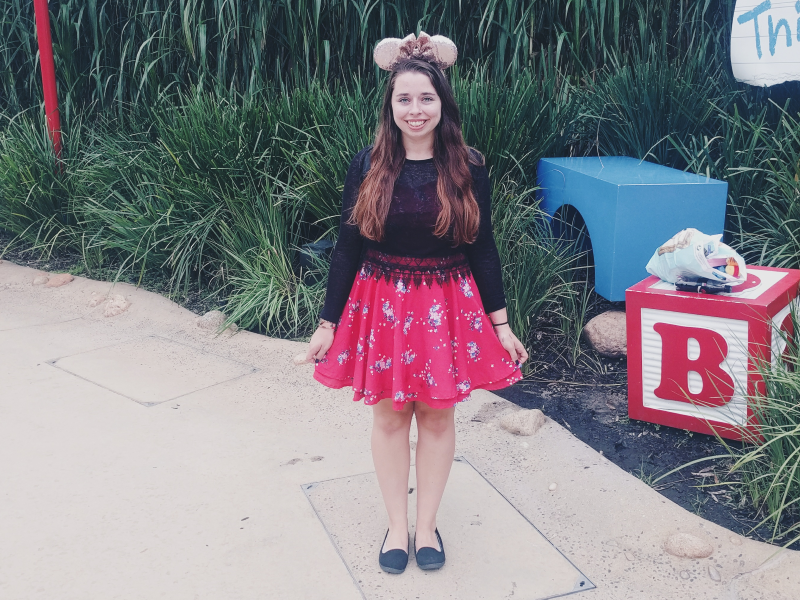 Today I'm sharing the outfit I wore in Hong Kong Disneyland earlier this month. 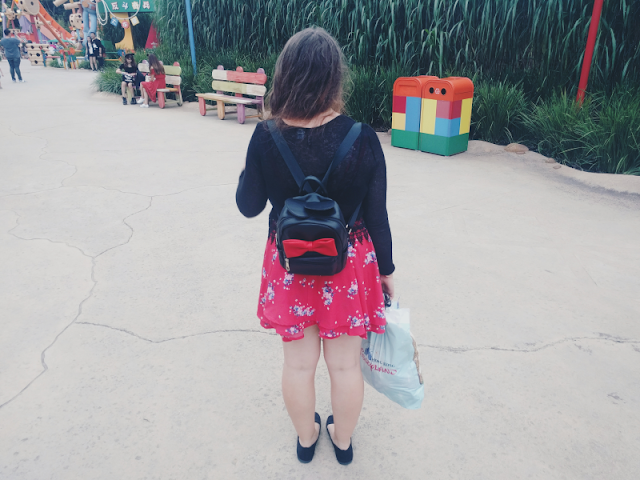 As I said in my Rapunzel DisneyBound outfit post, I was planning on wearing my Rapunzel outfit to HKDL but when I spotted this Minnie-inspired backpack in a market stall the night before we went, I knew I had to improvise a Minnie outfit instead to match! Luckily I still had this beautiful red floral dress from Primark and a black jumper tucked away in my suitcase so I think they ended up matching pretty well! 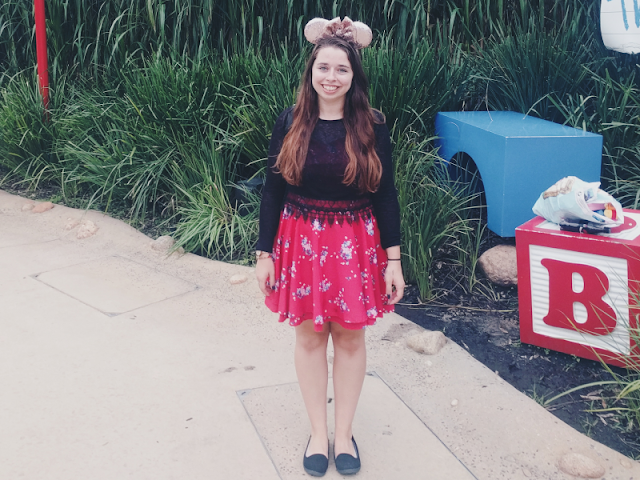 And of course I had to wear a pair of mouse ears! Before I went I'd ordered these absolutely stunning rose gold ears from ImagineEarsUK on Etsy and I couldn't have been more pleased with them. 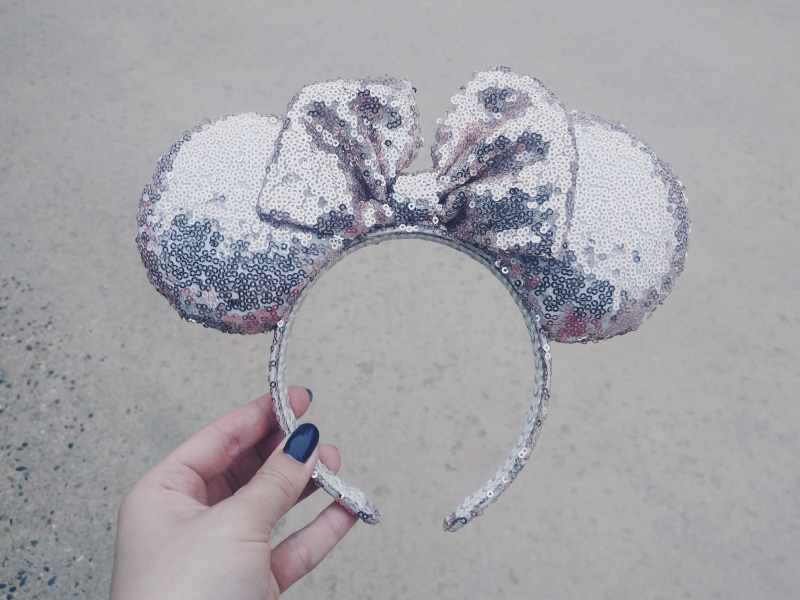 They were really lightweight and comfortable and as we were at the top of Main Street making our way into the park, Mickey and Minnie happened to pass by us and Mickey pointed out my ears! A seal of approval from the boss himself haha! If you're a fan of everything rose gold like me, you definitely need to get your hands on a pair of these.